Adam Burke is a reputable Columbus criminal defense attorney determined to fight for your rights and best interests. If you or a loved one has been charged with a criminal offense, Attorney Adam Burke will assist you from negotiation to litigation. No matter how complex your case is, our firm will take proactive steps to lead you toward a favorable outcome. Being faced with a criminal charge can be a stressful and emotional time. You need the sincere guidance and zealous advocacy of a criminal defense lawyer like Adam Burke. Call us today for a free consultation so we can start building an effective defense strategy. When you are facing criminal charges or a criminal investigation, it may seem like your world is falling apart around you. One benefit of speaking with a Columbus criminal defense attorney is realizing that you may have more options than you first believed. If this is your first time facing criminal charges, there are often many ways around a conviction or permanent criminal record. Surprisingly, clients who are most worried tend to have the best resolutions when they are properly represented by an experienced Columbus criminal defense attorney. Whatever the circumstances are that led you to this point, they are in the past. You cannot change what has already happened, but you can choose to take concrete steps to find a solution to your situation. This is a familiar phrase, but few people realize how important these words truly are. Before you talk to the police, before you make an important decision about your case it is important to speak with an attorney. Who you choose to talk to about your case, what plea you choose at arraignment, what defense strategy you choose will have lifelong consequences. Of all the choices facing you, none is more important than your choice of attorney. Adam Burke understands that each case is unique, carrying defenses and penalties specific to your circumstances. 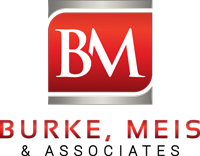 Mr. Burke will guide you through the process of a successful criminal defense. Call Columbus Criminal Defense Attorney Adam Burke at 614-280-9122.